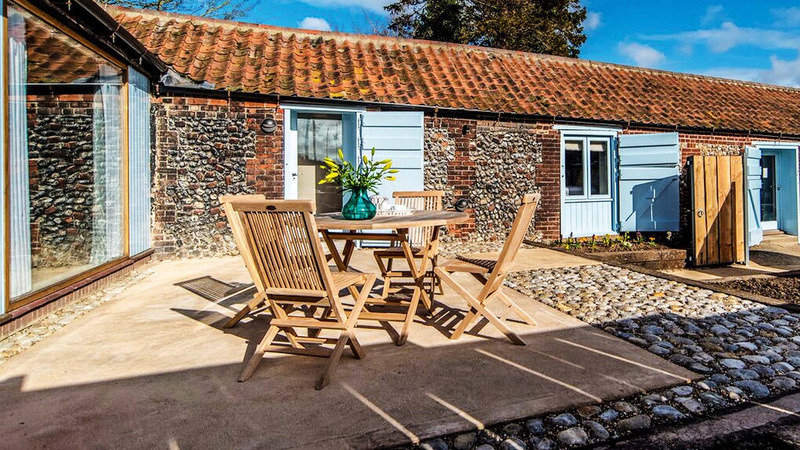 For a few days exploring the sights and seaside of North Norfolk, the self-catering Barsham Barns make the perfect base. 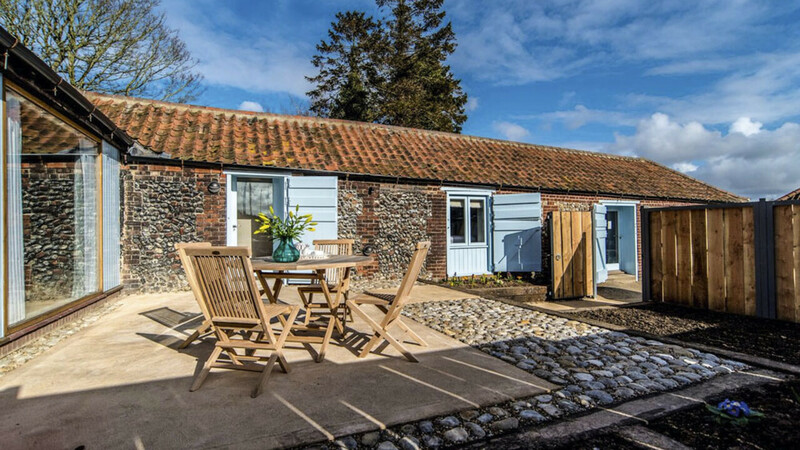 Smack-bang in the middle of North Norfolk, you'll find Barsham Barns – a collection of beautiful self-catering (you guessed it) barns, each restored and architect-polished to create an ideal haven for small to big groups. We stayed in the Loose Box, which sleeps four in comfort, space and style (whoever designed it clearly knows their way around a Farrow & Ball colour chart), and used it as a leaping-off point for a weekend exploring this stunning (and underrated) part of the world. 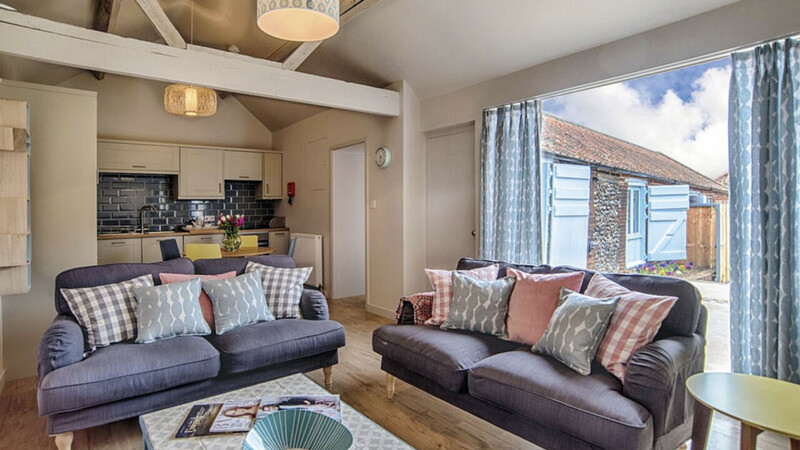 That being said, we'd forgive you if you decided to kick back and relax – the well-equipped barns share a small spa, and the surrounding fields and farms are great for short strolls. Unless you've got very specific needs, it's hard to imagine there's much you'd want that the Loose Box doesn't have. Formerly a smithy and a stable, this L-shaped little outhouse has an open-plan main living room-diner-kitchen at its centre, with a room (plus bathroom) at either end. There's a small utility room with washer/dryer, too, ideal for longer stays (or after muddy walks). In its decent-sized courtyard there's a BBQ and outdoor furniture, perfect for a lazy cook-up on a balmy summer day. 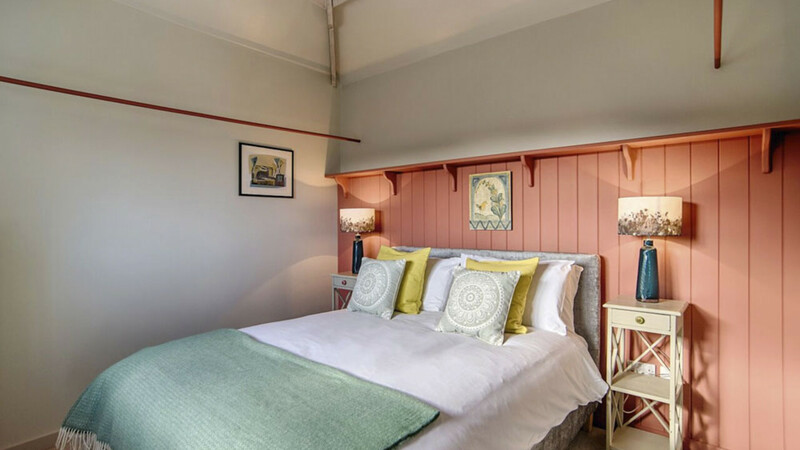 Though it looks authentically ancient with its pastel shutters and exposed beams, don't expect throwback creature comforts – there's free wifi, underfloor heating and a TV and entertainment system that'll keep everyone happy when you just fancy loafing. All the barns have decent-sized kitchens, which makes them ideal for families or big groups (not to mention big groups of families). All the big supermarkets will deliver there if you don't have time (or can't be bothered) to bring your own food and drink, and the Loose Box has a BBQ in the courtyard if the weather's playing ball. If you'd rather get someone else to do the hard work, the owners of the barns have teamed up with a local chef to offer catering services. When you're out and about you'll have no trouble finding decent pubs to eat in, and you'll be supplied with a list of the best of them (along with local delis, butchers, fishmongers, farm shops and supermarkets) in your accommodation. This is Alan Partridge country ("I can't give you the Spice Girls, but why don't you take the afternoon off and go to Hunstanton Spice Museum? "), which is either going to make you laugh, make you expect the worst from the area, or make you go 'Who? What?' Either way, it's hard not to be charmed by North Norfolk, from its wild and windswept beaches (like Holkham and Cromer) to its quaint – and achingly-middle-class – villages and towns (Burnham Market; Wells-next-the-Sea). Norwich, the county town, is packed with shops, restaurants and pubs, and it's also home to Colman's (of mustard fame). If that weren't reason enough to hit the sausage rolls hard (and load them up with the hot and yellow stuff), we don't know what is.